Note: This post is the first in a series of guest contributions. The author, Lowen Baumgarten, is a close friend and my go-to source for all things literature and economics. One of my favorite moments from Star Trek is in ST IV: The Voyage Home, when Kirk and the gang are stranded in 1980s San Francisco. They try to board a Muni bus and are promptly turned away. 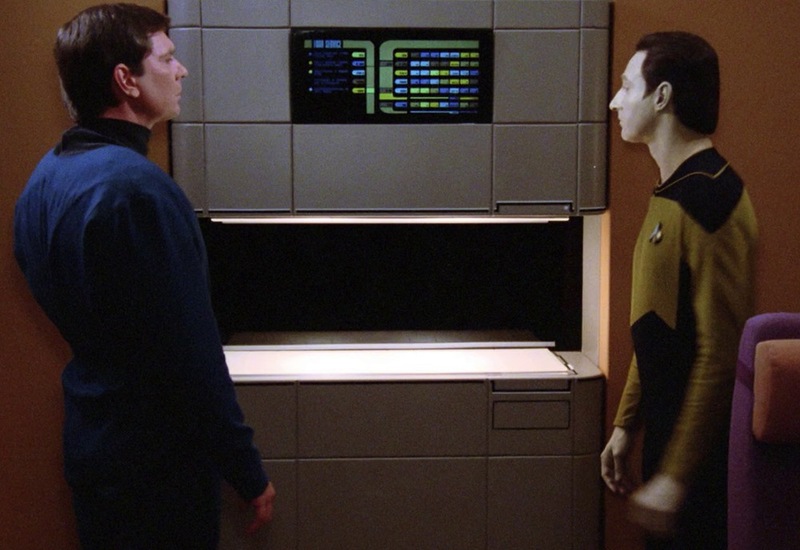 Spock: What does it mean, “exact change”? Kirk: They’re still using money. We need to find some. Not only is money a foreign concept to the crew, it’s so foreign they didn’t even remember it was used in the Twentieth Century. Money, like the human sacrifice of the Aztecs, has been lost to the sands of time. I’m here to tell you that’s ridiculous. First, two things: I only have a bachelor’s in economics. But that’s all you really need to tear to shreds Star Trek’s future where money is a distant memory. 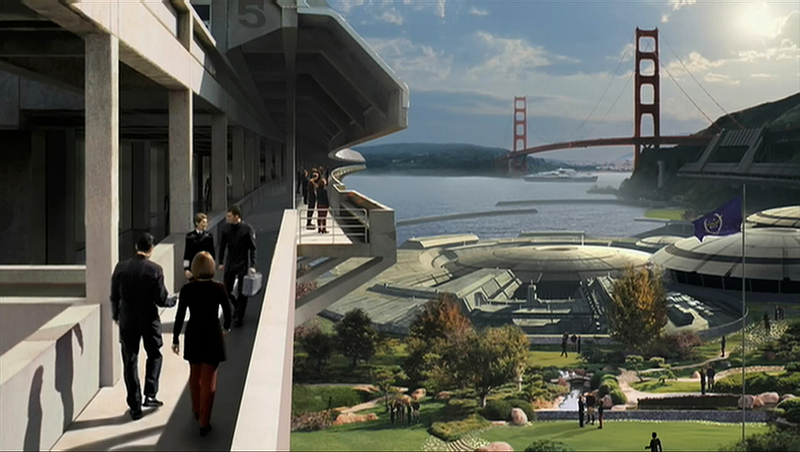 Second, I love the optimism of Star Trek. I didn’t even notice the lens flares in the new one (I even bought J.J. Abrams’ explanation that “the future was so bright it couldn't be contained in the frame”). I believe we’ll someday, far in the future, have a unitary world state, I love touch screens, I want to wear pajamas to work, and I think we should work toward a future largely free of disease, violence and poverty. "The economics of the future is somewhat different. You see, money doesn't exist in the 24th century. The acquisition of wealth is no longer the driving force in our lives. We work to better ourselves and the rest of humanity." It’s a store of value – Your savings, or wealth, yes. It’s a unit of account – This one’s the key: it’s how you measure what everything in the economy is worth. In the electronic age, money isn’t dollar bills or gold coins; it’s numbers. We’ll say a candy bar is worth “2” and a new car is worth “26,000.” What matters isn’t the pieces of paper in your wallet, what matters is that we can say a new car is worth about 13,00 candy bars. Those are prices, and in a market-based economy, prices are set when supply meets demand. Without the jargon, that means if the guy at the corner store tried to sell candy bars for $1,000 no one would buy them, and he’d have to close down, unless he lowered the price to what people will pay. Supply meets demand. Unfortunately for Trekkies, money only works if you get to keep it. 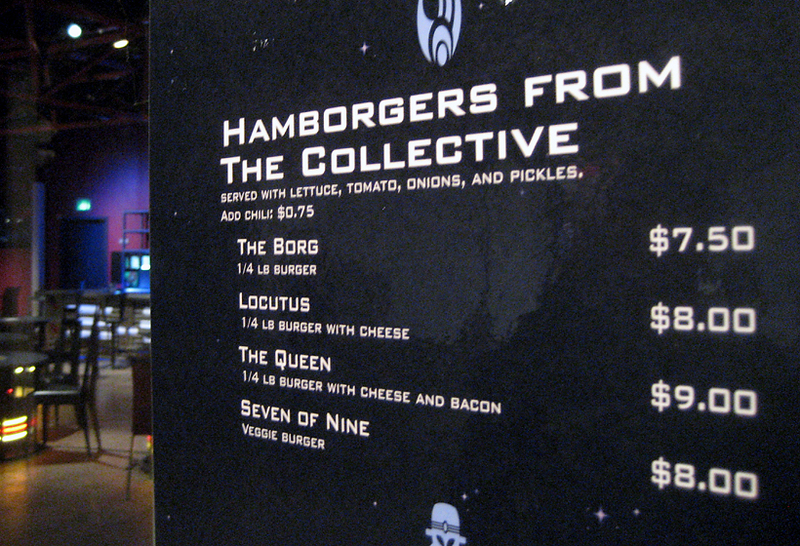 I’ve seen some Internet theories that the Federation uses “credits” for prices, but not for accumulating wealth. But if I don’t get to keep the money you spend at my store, save it up and later buy a new car, then I'm not selling you any goddamn candy bars! We’d still need some way to know how many haircuts an hour of therapy is worth. Does the Enterprise only need one Mot and one Counselor Troi? Without prices for services, how do you know? If you remove the money, (the prices), from our story, then somebody has to tell you what candy bars, cars, haircuts and therapy are worth. Whoever that person is basically has to run the whole economy, telling everybody what everything is worth. That’s central planning, or Communism. One big reason why Communism never works is it’s very hard to measure desire. With a lot of effort, you could measure how much labor and raw materials went into making a product (the supply side), but it’s very hard for central planners to know if people will want it (the demand side). This is why you hear all the stories of Soviet economies running constant shortages of things like toilet paper and cigarettes. In a 100% service economy, if everyone worked to better themselves and humanity, who’s to say what “better” is? And who gets to do it? Everyone would want to be captain of the Enterprise! How do we stop them? Who steps in and says your part in bettering humanity is scrubbing the plasma ducts on Deck 12? Without money, if you can’t pay some people more to do less desirable jobs, you couldn’t keep them from taking the best ones. We’d all be President of the Federation, Captain of the Enterprise, or, dear god, Ambassador to Delta IV. In some fan theories, massive AIs run the Federation economy, telling everybody what everything’s worth, how many barbers and starship captains they need. Well that’s central planning, just with computers instead of human beings. So, the Matrix, but with Communism. No lens flares in that future. This is why we need money. Because we need prices. We need live experiments where people try to sell things at prices others will pay. Whatever they’re selling, whether it’s the time they spend commanding the Enterprise or jumja sticks. Without those live experiments, somebody would have to guess about our desires (Even I don’t know whether I want a Kit-Kat or a Twix before I get to the store) or what’s “better” for humanity. We call those live experiments “markets.” And those prices – money – are essentially a language. It’s the language of value. We’ll always need words to communicate and we’ll always need numbers to communicate value – we’ll always need prices, and once you’ve got prices that are set in the live experiments of the market, you’ve got money. This is not to say that money will always work exactly like it does today. In The Ascent of Money, Niall Ferguson tells how we’ve invented new forms of money throughout history. Like any technology some of these fail (sub-prime mortgages), but others, like flood insurance, allow people to get back on their feet after a natural disaster. Maybe in the future, we’ll have some new form of money that inherently values “the betterment of humanity.” In economic terms, you could imagine endogenizing every social and environmental cost to every price and extending consumers massive revolving lines of credit. In other words, candy bars would cost $400 because of all the carbon offsets, but you’d have a very high credit limit, which you could work off by doing something good for the world. Again, who gets to decide what’s good? Until we figure that out, it’s best left to markets, greased as they are by filthy lucre. Lowen Baumgarten is a freelance writer and communications consultant based in San Francisco. Working with organizations from small startups to Fortune 500 companies, he creates content for clients' websites, blogs and newsletters. He loves co-working and finding new cafes to work in, while exploring new running routes through the city. He studied international politics and economics at Georgetown University.